Today, colleagues at the Scout Association, through a series of letters and emails sent around the globe, announced that I am to be their candidate for election to the World Scout Committee. The election is to be held in July, in South Korea. 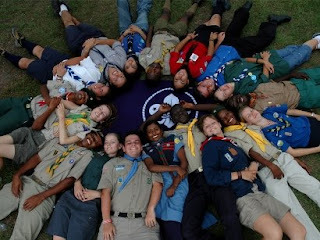 World Scouting has been living through a number of challenges in the last twelve months and, if I am elected, I will join a committee that has some difficult decisions to make concerning the future governance and strategic direction of the international movement. I hope that my experience as a volunteer and executive in the not-for-profit sector, working in partnership with some of the world’s most successful corporate supporters, might help to ensure that Scouting internationally finds the right direction for its future growth and development. Scouting has come a long way since Baden-Powell ran the first Scout camp on Brownsea Island in Poole Harbour. When the retired army general took boys from the East End of London and some major public schools to enjoy the adventure of sleeping under canvas, he knew that he was undertaking an experiment. In his own small way, he was challenging Britain’s class system and trying to help young people integrate, to recognise their similarities as well as their differences. As last year’s World Jamboree showed, we have the opportunity to do the same thing now, working with young people from different racial, social and faith based backgrounds. And in doing so, we can make a better world. But to do so, we have to get our objectives properly sorted out. And I’m not really sure that we’ve ever really worked out what the business of the World Movement is. Some people think that it should be a controlling body, running a global franchise – qaulity assuring its members and stipulating what makes good Scouting and what doesn’t. I disagree. I see the World Movement as an enabler, a catalyst – supporting its member organisations in working together in a wide range of ways for mutual benefit.